Product information "Kalymnos: Sport Climbing Guidebook"
Climbing directly by the sea and with mild temperatures during winter make the Greek island of Kalymnos one of the most popular climbing destinations that keeps evolving.The long awaited new edition of the Kalymnos climbing guidebook is in the making and will be available via Vertical-Life starting end of September. The development of new crags and routes has been constantly going on since the last edition was published in 2016. The new edition presents 66 crags with about 800 to 1.000 new routes mounting to a total of 3.800. In addition, 12 crags will be available in the app only. As always, the guidebook offers full-color photo topos, all the GPS coordinates for the crags as well as detailed info on orientation, access, approach and grade range. 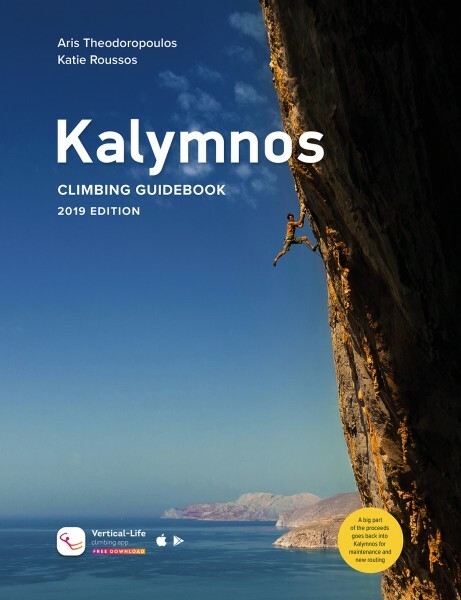 Related links to "Kalymnos: Sport Climbing Guidebook"
Customer evaluation for "Kalymnos: Sport Climbing Guidebook"